GeoDash — a geospatial open data sharing platform — is a web-based application and platform for collating, storing, and sharing geospatial data and for deploying spatial data infrastructures (SDIs). Owned by the Bangladesh Computer Council and actively supported by the World Bank Group, the platform provides integrated data storage, retrieval, viewing, and mapping capabilities. It can scale to include various types of spatial information ranging from physical geographic data to natural hazards, sociodemography, and others. To make GeoDASH services interoperable with other services in Bangladesh, an initiative was taken to enable the platform to link with other services via WSO2 middleware. The mandatory guidelines and standards from the Bangladesh Network Enterprise Architecture (BNEA) website needed to be adhered to and the API needed to integrate with the BNEA e-service bus, which allows organizations to view, retrieve, and share their data. 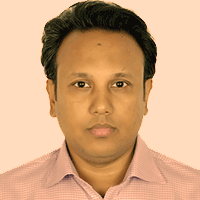 Mohammed Abu Hamid is a GeoDASH System Consultant at the the World Bank, Bangladesh. GeoDASH is a GFDRR funded GIS data sharing platform for Bangladesh based on GeoNode which is now under the ownership of Bangladesh Computer Council (BCC), a statuary body of Government of Bangladesh. The World Bank continues its support to upgrade GeoDASH and Hamid manages the development process. He has vast experience in project management and has successfully led many national level projects since 2009 in the fields of disaster management, water and sanitation, finance and ICT capacity building of government organizations. Prior to that he worked as a software developer in national and international organizations since 2002.